Adobe is no stranger to leveraging the power of AI and cloud computing. In this update, Adobe Lightroom Classic, CC, and ACR users can take advantage of Enhance Details. Based on Sensei, Adobe’s advanced neural net, Enhance Details improves one of the most important aspects of raw conversion: the demosaicing process. By applying machine learning to this process, Adobe can greatly improve the resolution of any camera, with up to a 30 percent increase in resolution, while also improving fine color detail reproduction. 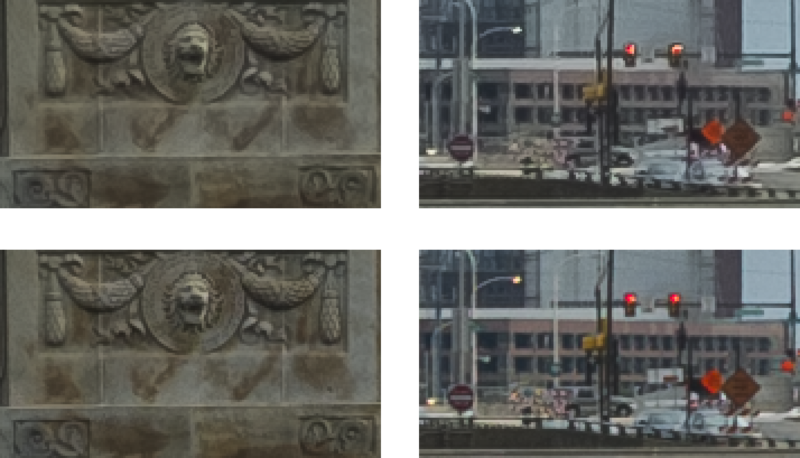 The new Enhance Details tool also prevents demosaicing artifacts, resulting in cleaner diagonal lines for cameras with Bayer sensors, like those by Canon, Nikon, and Sony. Fujifilm cameras with X-Trans sensors also stand to benefit from Enhance Details by avoiding those rare, but annoying, worm artifacts. Because of the processor-intensive workflow of the new Enhance Details feature, it can only be applied on an image-by-image basis. During my tests, the estimated processing time for Enhance Details took approximately 32 seconds for raw photos taken with my Sony a7 III (24.2 megapixels) and approximately 52 seconds for raw photos taken with my Sony a7R III (42.4 megapixels) on my 2018 Apple MacBook Pro with a 6-core Intel i7 processor, 32 GB of RAM and the Radeon Pro Vega 20 GPU. After running Enhance Details, you’ll get a new DNG file with all of the edits carried over non-destructively. Because of the enhanced details applied, the resulting DNG file will also take up more space. In my tests, an original raw file taken with the Sony a7 III was 46.96 MB and the Enhanced Details DNG file was 89.36 MB. An original raw file taken with the Sony a7R III was 82.25 MB and the Enhanced Details DNG file was 180.61 MB. As such, you should probably be selective with the images you apply Enhance Details to, reserving it for important photos or those that have artifacts you wish to clean up. 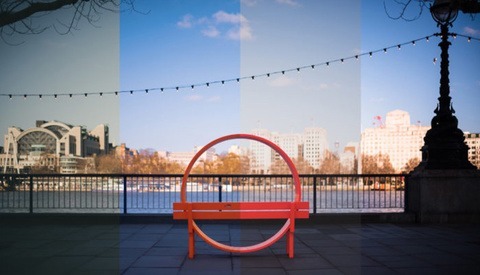 Want to learn more about Adobe's new Enhance Details utility? Check out their Whitepaper for more details. Also, be sure to check out Elia Locardi's deep dive into Enhance Details for a series of very compelling before/after examples. I fully migrated from Lightroom Classic to Lightroom CC last year and one of the features I missed most was Photo Merge. Fortunately, this update brings the same ability to merge HDR, Pano, and HDR Pano brackets to Lightroom CC. After extensively using all three Photo Merge features, I am happy to report that it works as well, if not better, than in Lightroom Classic. I’ve always found Lightroom CC to be notably faster than Classic and Photo Merging is no exception. 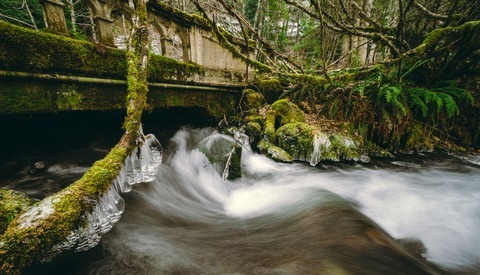 In fact, I recently executed an HDR Pano Merge consisting of 50 Sony a7R III raw photos and the resulting DNG retains the dynamic range and seamless stitching. For those Classic users who have been holding out on this key feature, you may want to dip your toe in the water. The TAT was the other tool I missed most from my Classic days. I used it all the time to quickly adjust the Hue, Saturation, and Luminance values across my images. Fortunately, this update brings parity between Classic, CC, and Mobile by including my beloved TAT. And, as is the case with most of Lightroom CC’s tools, this implementation is far more intuitive and visually appealing. This is yet another feature that should help tip the scales for those of you who have been waiting for more complete feature parity with Lightroom Classic before giving Lightroom CC a try. Clipping indicators are a godsend when you’re working on wrangling the tones within your image. 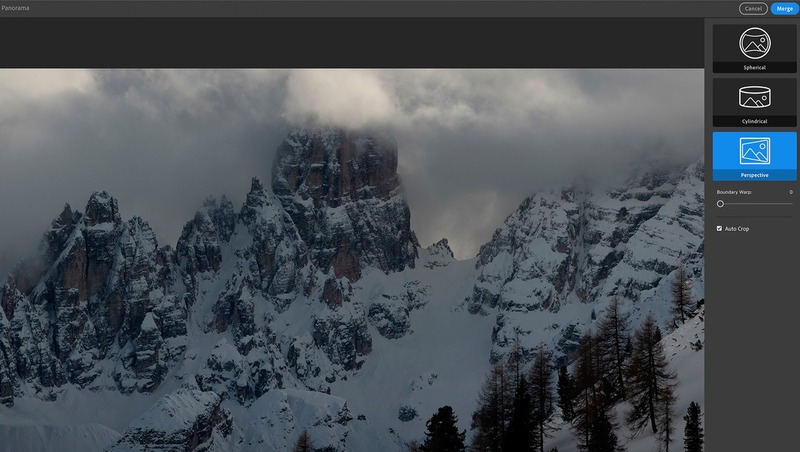 Now, Lightroom CC Desktop users can benefit from having those little warning indicators, too. When you have your histogram visible (and, really, you should always have it visible), you’ll see two triangles in the upper opposing corners. The left triangle represents the Shadows and the right triangle represents the highlights. 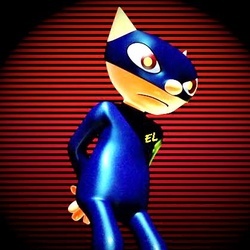 If either is illuminated, it indicates that you are clipping the respective region and are losing tonal information. To help visualize the offending areas, you can also click on either illuminated triangle to see a color mask overlaid wherever a loss of tonality occurs. In addition to the significant update of Enhance Details and the new additions to Lightroom CC, Adobe has improved on its other platforms. I've included some notable highlights below but be sure to check out Adobe's blog post to for a complete list of updates and changes. 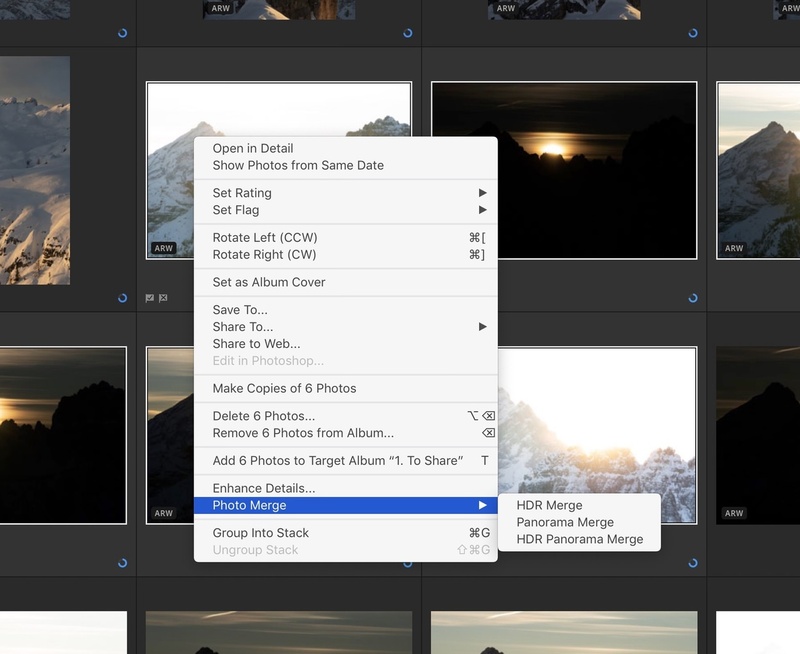 Adobe has streamlined Lightroom Mobile's photo sharing workflow, bringing the same ad-hoc process that to iOS that Lightroom CC Desktop, Android, and Web got last year. 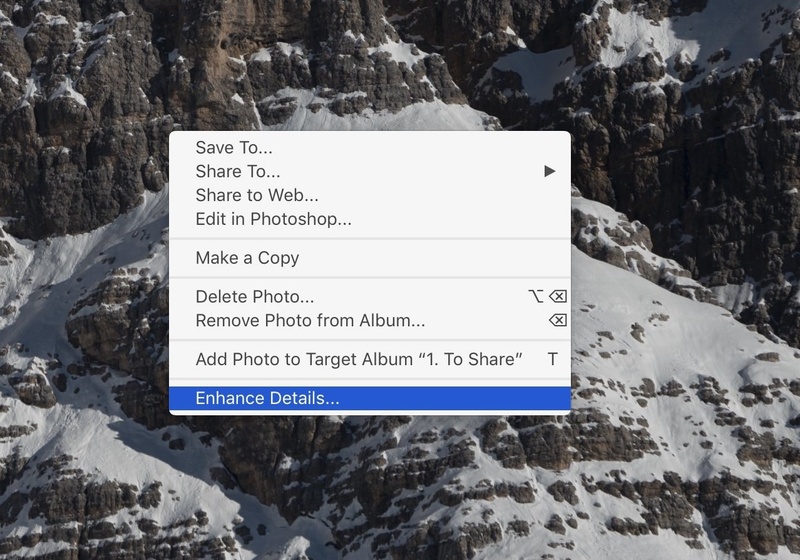 Now, iOS users can select a random assortment of images to share directly via lightroom.adobe.com, instead of having to first create an album, add photos to it, and then share it. Nikon tethering performance has been improved and is now faster. You can also control settings such as ISO, shutter speed, aperture, and white balance within the tether bar. Existing Adobe Creative Cloud subscribers can download the latest versions of Lightroom Classic and Lightroom CC Desktop via the Adobe Creative Cloud app, as well as from the Apple App Store and Google Play Store. For many years the US military has used AI image enhancement on satellite images. I m glad to see it in being used in consumer markets. As a long time Fujifilm user let me correct that...you will see the worm artifacts 90% of the time when sharpening at default settings in LR. This is marketing spin. Negligible difference from the original file outputs. As also a long-time Fuji shooter, I have never seen this artifact in my images. Wonder why some see it at 90% of their photos and others not so much. I look for it. Heck, I went through my 10s of thousands of frames looking for it while developing this feature. And you're right, I don't print large, but I pixel-peep like a mo-fo. If you are a long time Fujifilm user with 10s of thousands of images it's impossible that you haven't heard about the issue. There is a way to use LR CC without storing original raws into the cloud? No, the version of Lightroom that stores photos locally is Lightroom Classic. Classic got Enhance Details and the other improvements in LrCC are features that Classic already had. Would love to try it, but when I do, I get a warning that says I have to have at least the October 2018 update on Windows 10. I'm up to date. Anyone else? Yeah, that's one of the requirements. I'm on Windows 7 still due to some developer requirements, so I'm out of luck. Thing is I have the most recent update possible for Windows (10) and it still won't work. That's strange, you should contact our support team so we can figure it out. Same for me. My Windows 10 is up to date, but Enhance Details doesn't think so. I got the same error message but I'm fully up-to-date. Same for me, I have the latest update and still get that warning. There's something I don't understand. Lightroom CC is supposed to be a multiplatform version that brings Lightroom to phones and tablets. Yet they release exclusive "Desktop" features to CC. Why is that? I get that porting these features to touch apps can be difficult, but isn't the point of CC to be everywhere? I don't even use the iOS apps, but I find this awkward. If anyone really expects Adobe to deliver with the "full Photoshop" version coming to the iPad this year, well he or she is gonna be disappointed. Do you realize just how much you're able to do in Lightroom on iOS and Android? Or the fact that whatever you do syncs back and forth with its desktop counterpart. It's so easy to thumb your nose at this stuff when you don't take a minute to fully appreciate what you're already capable of doing with these apps. You can download a smart preview or a full raw file to your phone, edit it, share it with the world, and have those edits ready on your desktop. 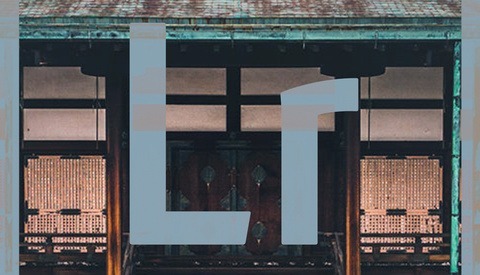 Many people seem to forget just how old Lightroom Classic is and that in order to bring more advanced syncing and performance, Adobe had to build a new framework for Lightroom, which is known as Lightroom CC. And while it may not be at 100% feature parity with Classic (nor does it necessarily have to be), today's update brings some of the most important features to the desktop client. Sure, some features with Lightroom Mobile are still not there but, once again, take a minute to evaluate why before becoming an armchair tech pundit... nevermind the fact that you actually admitted that you don't even use the mobile app. Apple has always limited the amount of ram in the iPhones, especially when compared to modern Android phones. Can you imagine how terrible the user experience would be if you tried to tone-map or pano stitch 3, 5, or 7 full-resolution raw photos on such a device? It'd be terrible. Maybe the current gen iPad Pro could take a decent swing, but the iPhone would melt in your hand. And of course "he or she is gonna be disappointed" when Adobe doesn't deliver a "full Photoshop" because they never claimed to. Rather, they have claimed in interviews to deliver a "real Photoshop" experience. And, again, take a minute to appreciate what that means. Do you really even want every single feature that Photoshop offers on your tablet? I know I don't. I want the core features that I use daily to be optimized for my iPad and I'm confident those will be included. So, why not wait until the app is released and you actually use it before making all of these snap judgments? Sorry Brian, but Mobile CC is useless for many photographers due to its insistence on syncing via an internet connection. Nothing wrong with the app's functionality but I am unaware of any way to realistically move original raw images, with intact metadata, off a mobile device onto to a server or desktop without using the internet. Shoot 10Gb of photos and you have to upload 10Gb of data. If I'm wrong I'd love to be corrected - bought a maxed out iPad Pro (which is a serious powerhouse for imaging) for exactly this purpose and quickly hit the sync 'brick wall'. I just tried it on a few images. If I zoom way way way in I can see slight differences but I'm not sure its worth it. If I go full screen on my 27 inch monitor I cant see any difference at all. Same here. I tried with handful of images from different Nikon cameras. Differences are tiny and visible really only if I zoom to 200% or so.